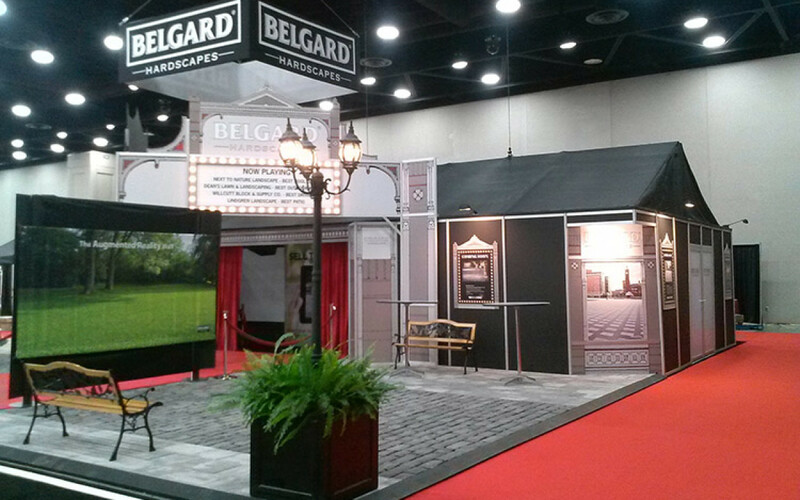 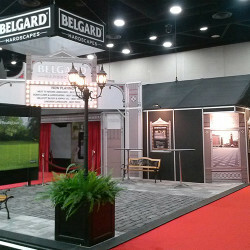 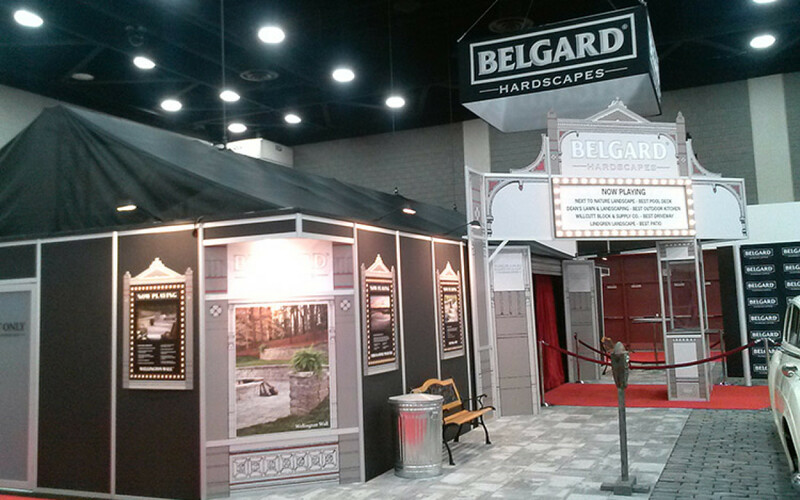 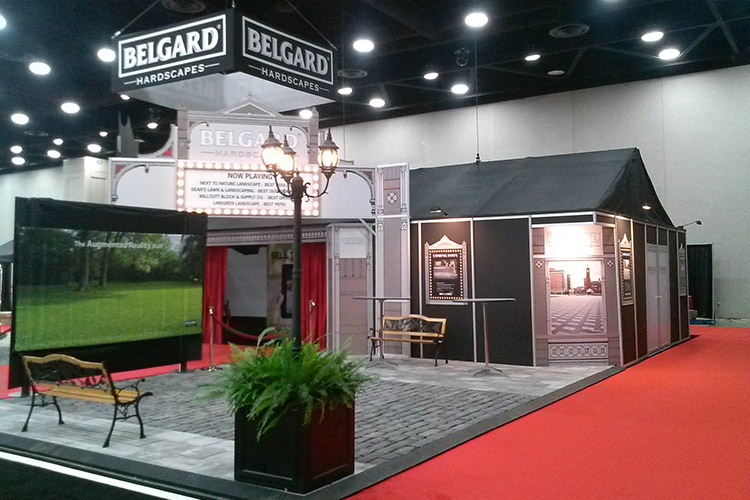 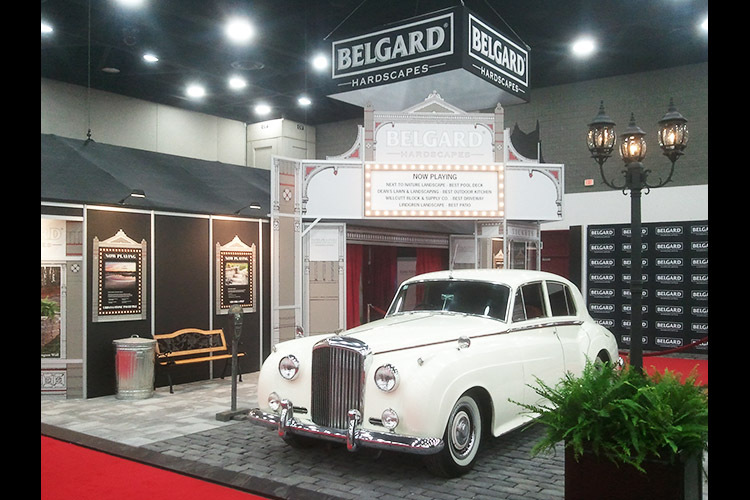 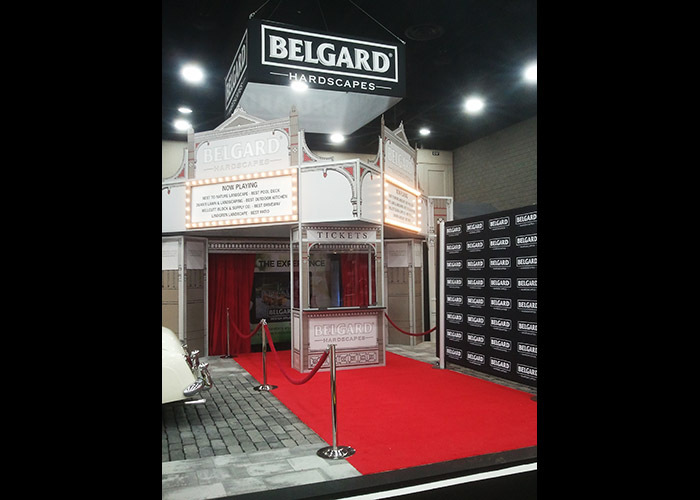 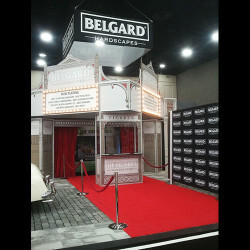 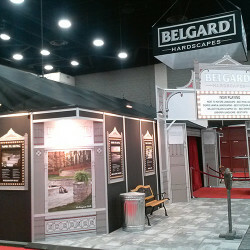 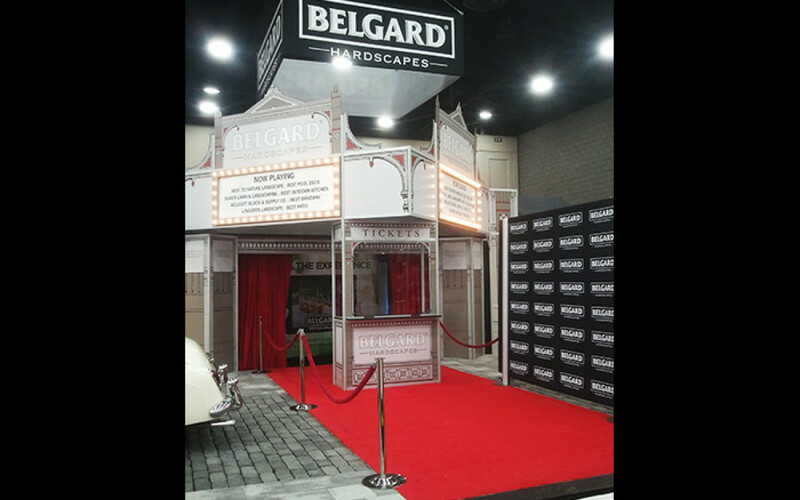 Custom modular trade show booth with custom theatre façade including large branded graphic placement. 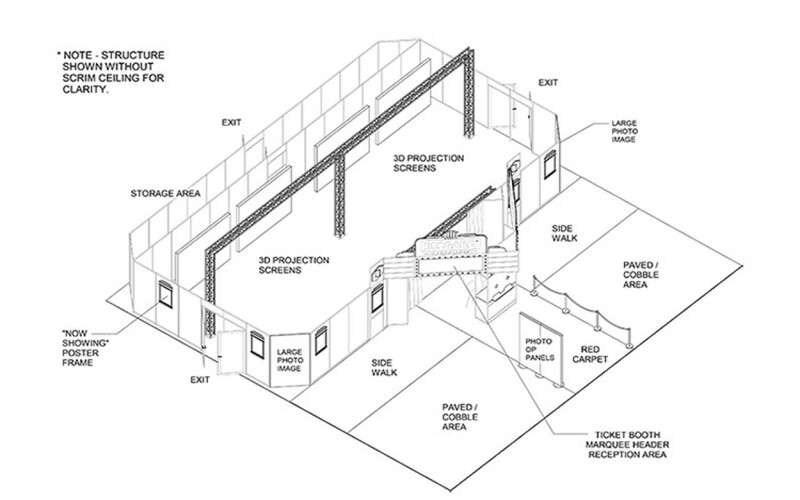 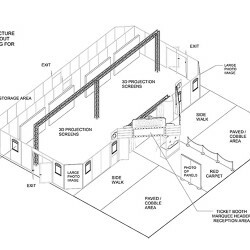 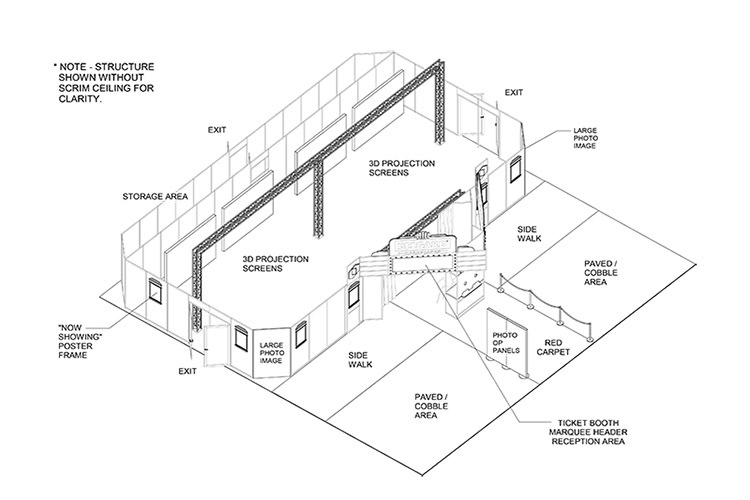 Includes four controlled access theatre spaces with lighting, sound, video projectors, and large product display areas. 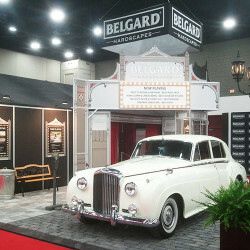 Props included a 1963 Rolls Royce, park benches and live plants.